"a heavy dose of nostalgia"
Annie is one of the great classic musical films. Who didn't grow up watching the feisty red-haired orphan battle against the evil Miss Hannigan who runs the orphanage with an iron first, only for Annie to be whisked away by billionaire Oliver Warbucks to live a privileged life she could've never even dreamed of? Sure, there are obstacles on the way (mostly put there by Ms Hannigan), but ultimately the happily ever after of Annie's "Tomorrow" is only a song and dance away. The 1982 film was based on the Broadway musical from a few years prior, which in turn was adapted from a comic strip from the 1920's. Despite the origin story being nearly a century old, the rags to riches musical still resonates with people today, having been turned into a contemporary film a few years ago and having recently enjoyed revivals on both Broadway and in London's West End. Unfortunately the rest of the story set amid the backdrop of the Great Depression hasn't aged quite as well as orphan Annie has. It's not that the social and economic tumult in the background is no longer relevant, on contrary, but looking back on it as an adult, the characters I used to love (or despise, in Miss Hannigan's case) feel quite underdeveloped in nature, almost a caricature of the ones I remember – and the over the top choices in some of the performances and choreography didn't help. Amid superior children-driven shows, such as Matilda and School of Rock, it does beg the question if there is still a place for Annie in the West End. Thankfully the soundtrack, which is the beating heart of any successful musical, remains as strong as ever – and this is what truly carries the show. All the classics, from "Tomorrow" and "It's a Hard Knock Life" to "Easy Street" and "You're Never Fully Dressed Without a Smile" are there, as well as some that while being slightly less memorable, still slot into the rest of the score seamlessly to create that iconic sound. 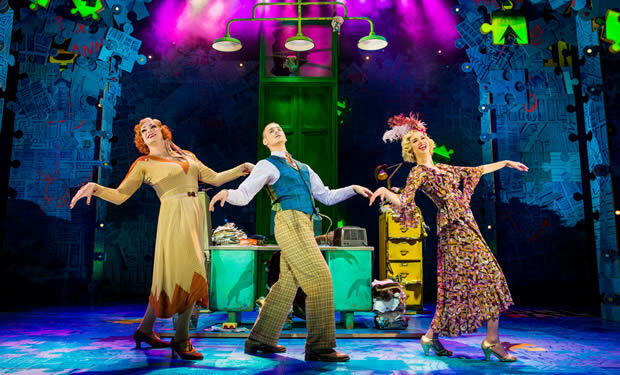 The cast of little girls were excellent, and while 'star casting' to draw in the crowds can feel like a cop-out, Strictly Come Dancing's Craig Revel Horwood really excelled as Miss Hannigan. While I'm on the fence about casting a male performer for the role (it didn't work quite as well as the same choice for Miss Trunchbull in Matilda), he gave the part his all and he was impressive both vocally and on the acting front; bordering perfectly on the line of evil antagonist and comedic relief. Despite its dated and sometimes simplistic characteristics, Annie remains a firm feel-good family musical that for children especially will be a delight to experience. It does occasionally move almost into panto territory, but it's saved by a strong soundtrack, excellent performances and a heavy dose of nostalgia.